The team have been at the practice for several years with a very low turn-over of staff. This is achieved by making the workplace a happy one with a genuine feeling of pride in the work we provide. This gives continuity of care to patients with “old-fashioned family practice values” whilst still giving the most modern up-to-date quality treatment at value for money prices. Dr Paul Liano established Tangmere Dental Centre in it’s current form in 1988, so has been at the practice for 30 years. He regards dentistry as an “art form”, not just the end result of beautiful restorations, but the means of it’s delivery, so as to achieve a “smile”. He believes in health before cure and so encourages a perspective change in how care is received focusing on keeping natural healthy teeth by predicting disease to avoid repair. 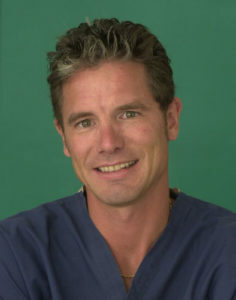 He has been featured on National Television with the introduction of “in mouth” dental video. He also featured as a recommended dentist for the “10 years Younger program” magazine. Several other dentists and doctors entrust their care to him. He is a member of the Association of Dental Implantology with postgraduate training in Dental Implants, Oral surgery and Bone grafting, placing Implants since 2002. He is also a member of the British Society of Cosmetic Dentistry and is proud to produce natural smiles avoiding that “artificial look”. He works Tuesday to Friday and Saturdays by arrangement. 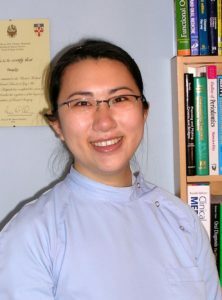 Dr Fang Liu joined the practice in 2007. She qualified from Guys Dental Hospital London in 2003 and previously worked in Walberton for four years where she provided care for many satisfied patients. She believes in providing quality dentistry in a gentle caring manner. Ample time is allowed to complete work well and with consideration so helping nervous and anxious patients. Her primary role is general dentistry but has trained to use the Cerec Ceramic system and undertakes several difficult reconstruction cases, including some more complex root fillings. She has a limited NHS contract which is currently full, but accepts new NHS patients as and when space becomes available. She works Monday, Tuesday and Thursday. Richard joined the practice in February 2017. 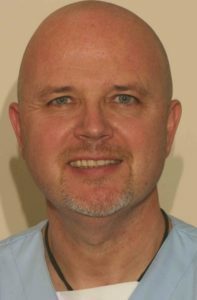 He has over twenty years’ experience within dentistry. He works with his patients to educate and involve them fully in their dental care to improve, retain or establish their dental health and wellbeing. He also undertakes more complex, high end treatments including full jaw rehabilitation and surgical reconstruction using dental implants. In addition to providing routine general care we are also a referral practice, accepting individual treatments from outside dentists on request. This means we are used to taking on or delegating work to other clinicians dependant on the best skill set to complete your treatment. This also takes place within the practice in that patients of Dr Liu or Dr Vernon may be referred to Dr Liano or visa versa. Also routine treatments are referred to our Dental Therapists where you agree and it is appropriate. This frees up time for the surgeons to focus on more complex work. Dental Therapists are now being more routinely introduced to General Dental Practice. They are trained to undertake all of the work usually done by a Hygienist as well as some of the routine work done by a Dentist. They have over twice the training of a Hygienist, to deal with all routine fillings, preventative and complex gum treatment, children and nervous patients. A Therapist can be given more time for treatments at a lower cost than the responsible dentist would have to charge for the same treatment. In practice we find having two highly trained Dental professionals undertaking care keeps standards high as we all assess and cross check each others work. 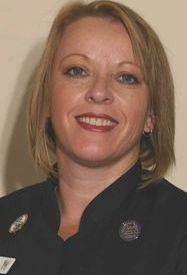 Suzie has had a varied career within the care sector originally as a carer then eight years as a Paramedic. She then went back to University to train as a Dental Therapist after meeting Paul in 2007. Suzie loves excelling in things she does and was awarded the Dental Therapy prize after final exams at University. During her time at Tangmere Dental Care, she has become a popular member of the team with staff and patients alike. She works Wednesday, Thursday, Friday and Saturdays by arrangement. 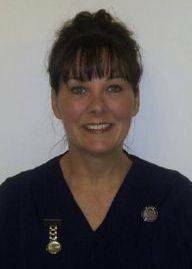 Vanessa has worked in dentistry since 1991, first as a dental nurse and then as a Dental Assessor and Tutor for Nursing. She went on to further her career by training as a Dental Therapist at Portsmouth University. Whilst studying she was awarded the Foundation in Science certificate and also two highly commended awards from the British Society of Dental Hygiene & Therapy (BSDHT) and from the University for contributions to the BSDHT. She is committed to quality dentistry and excels patient care.